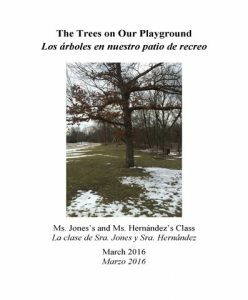 Over the course of the year, Ms. Jones and her teaching assistant, Ms. Hernández, have engaged the children in their classroom in an investigation of trees in the park next to their school. When school began in the fall, the children were excited to see the leaves change color. The children noticed snow on the branches during the winter and wondered whether the trees would always have empty branches or if the leaves would return. The teachers and children had rich conversations about the trees while on the playground and collected digital photographs of the changes they saw in the trees. It is now spring, and the children are excited to see the returning leaves. 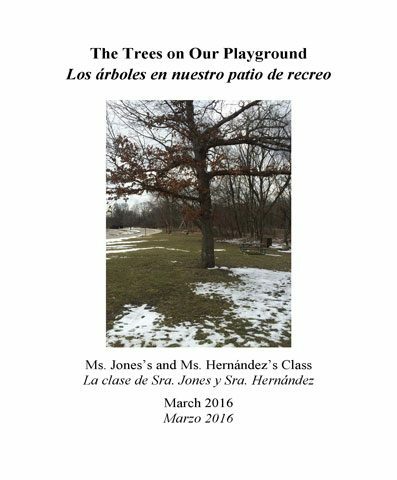 Ms. Hernández and Ms. Jones would like to use the photographs to help the children reflect on the changes in the trees through the different seasons. They also want to see if the children can describe the changes they observe when comparing the photographs to the spring trees on the playground. During morning circle, Ms. Jones tells the children a choice available at the tables will involve looking at photos and helping create a classroom tree album. Ms. Jones explains this album will tell the story of the classroom’s investigation of trees. Many children are eager to see the photographs, so Ms. Jones creates a waiting list where children can sign their names and be called when it’s their turn to look through the pictures. Because this activity involves photos of themselves and their friends, Ms. Jones uses this project as way to sustain the children’s attention as they look carefully at the photos, reflect on their experiences, and talk about them. To help them stay engaged, she remains at the table and talks with the children about the book-making. She encourages the children to ask each other questions and share their memories about the photos. Ms. Jones and Ms. Hernández review the album pages the children have created. They talk about how the children have arranged the photos and the children’s comments they have recorded. They plan to specifically invite children who haven’t participated yet to the table. The teachers are interested in how long the children stay focused on creating the album. They use this activity to observe which children maintain their interest in looking at the photos, having conversations with peers, and creating album pages for five minutes or longer. The tree album activity is one of the culminating activities for the yearlong investigation of trees. The teachers use the pages to create a display of the children’s experiences in a common space where the children play daily. The children are eager to show the center director, parents, and other adults evidence from their investigation. After two weeks, the album pages are bound into a book for the classroom library. The children then enjoy revisiting their experiences investigating the trees by reading the book about their investigation. Some of the younger children in the classroom have trouble participating in longer conversations during large group time. They have trouble making on-topic comments. The teachers planned this album-making activity because it provides a chance for teachers to engage these younger children in conversation and reflection in a smaller group. When the teachers note that several of the younger 3-year-olds have not signed up to come to the album-making activity, invite them to the table by showing specific pictures to the children. 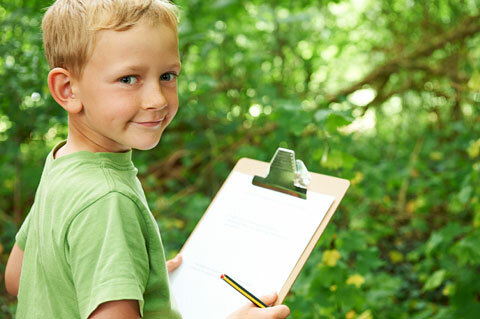 Teacher: I want to show you a picture of when you were collecting acorns with Joey. to the children in English or Spanish and understood by visitors who come into the classroom, regardless of their primary language. The teachers set the activity up at a table that is the proper height for her wheelchair. The teachers place photos of child to the left side of the table and encouraged her to use her left hand to reach them. 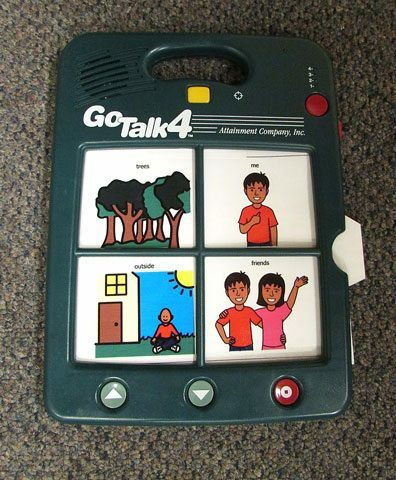 Child has a significant speech delays and is learning to use an adaptive and augmentative communication (AAC) device. The teachers show the child some pictures of himself taken during the tree investigation to entice him to come to the table for the album-making activity. His AAC is programmed with photos from the investigation and labeled me, outside, friends, and trees. The teachers transcribe the words he speaks using the AAC onto the page of photos he created for the album. Low-tech option: Instead of using an AAC device, print the symbols from Boardmaker and let the child point to the paper. Two children refuse to engage in the activity. The teachers want all children to participate. Teacher uses a visual timer to show the children they have five minutes before they need to come to the table. 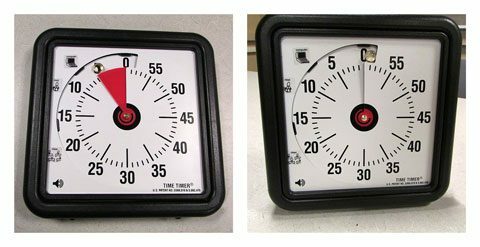 Having a visual cue from the timer helps the children understand the teacher’s expectation. When the children understand the teacher’s expectation, they are more willing to comply with teacher instruction to come to the table and participate in the activity, even though it is not their preferred activity. Teacher: Do you see the time on this timer? It is your turn to come to the table when the time runs out.